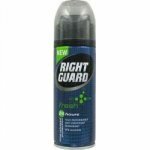 Fights the bacteria that cause body odour. Body Response Formula with antibacterial silver molecules fights body odour at its source for up to 48 hours. High performance protection against perspiration. 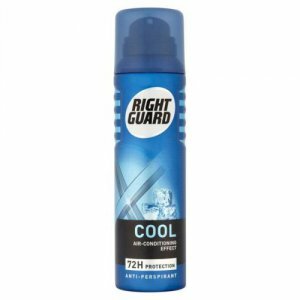 Right Guard Xtreme Silver Cool Impact Anti-Perspirant Deodorant is a great solution to body odour and excess perspiration. 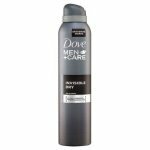 Developed specifically for the male body, this effective men's deodorant provides up to 48 hours - two days - of deodorising and anti-perspirant action. The aerosol is enriched with micro-absorbers, tiny particles that soak up moisture and seal it away, to keep you comfortable and dry for longer periods of time. 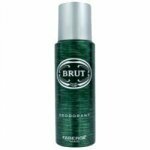 The fragrance of the body spray itself is pleasant, masculine and, most importantly, long-lasting. Silver molecules, hailed by scientists for their anti-bacterial properties, are built into the formula. 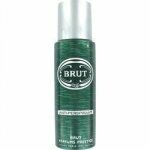 This helps to slow down the bacteria that live on your skin surface and carry out the chemical reactions which result in unpleasant body odour. 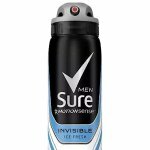 Dermatologically tested, and with a 0% alcohol content, Right Guard Xtreme Silver Cool Impact Anti-Perspirant Deodorant is soft on your skin, but tough on odour and wetness. Shake well before use. Use in short bursts. Hold upright 15cm from underarm and spray. Do not apply to irritated skin. Protect from sunlight and do not expose to temperatures exceeding 50ºC. Keep away from sources of ignition. Keep out of reach of children. Butane, Propane, Isobutane, Cyclomethicone, Aluminium Chlorohydrate, Isopropyl Myristate, Parfum, Disteardimonium Hectorite, Propylene Carbonate, Sodium Starch Octenylsuccinate, 2-Benzylheptanol, Mannitol, Silver Lactate, Linalool, Limonene, Coumarin, Geraniol, Phenoxyethanol.